Model SX1640S-This customized competition pistol features Novak Extreme Duty adjustable rear sight combined with a fiber optic front sight which absorbs light to give you the best sight picture even at dusk. NOTE: This is a high capacity pistol, and may not be available for sale in some states and territories. 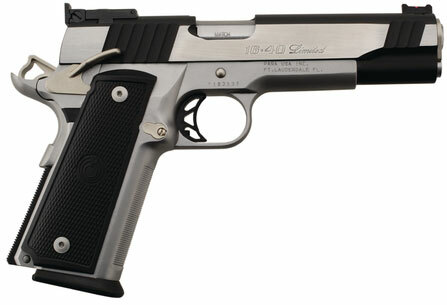 Model SX1445S- 14*+1 rounds of . 45 ACP fire power, it has the feeding and extracting reliability of the exclusive new Para Power Extractor, a flared ejection port, three built in safety features, and a host of custom shop features as standard. Model SX1640S- Has the incomparable power extractor for feeding and extracting reliability, 16*+1 round of .40 S&W firepower, and a host of custom shop extras.